Instill fear in all those who would stand against the Empire. 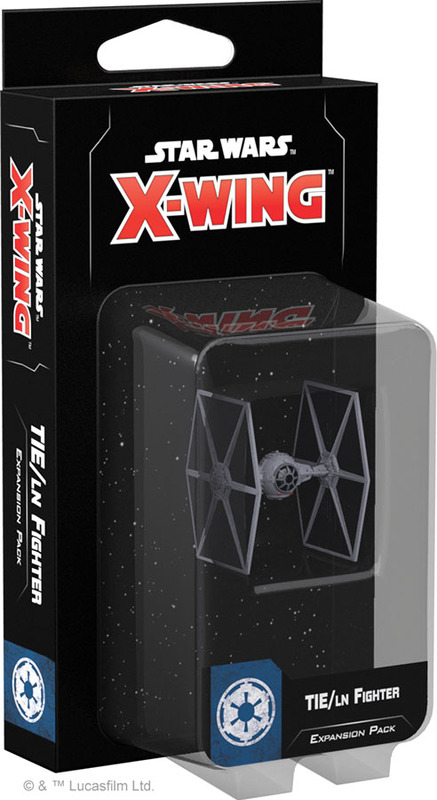 The TIE/LN Fighter Expansion Pack includes everything you need to add the Empire`s most iconic starfighter to your X-Wing Second Edition squadron. With its namesake twin ion engines providing impressive speed and pinpoint maneuverability, the TIE is an affordable fighter that you can deploy in overwhelming numbers to defeat your foes. Featuring a pre-painted miniature accompanied by ten ship cards, four upgrades, one maneuver dial, and three Quick Build cards, this expansion has everything you need to get into the battle right away..